In the 1930’s, American workers used to travel from town to town looking for work by riding unseen on the freight trains. This gave way to subculture of nomads, called “hobos”, that crisscrossed the country in search of a better life. Four hobos from Belgium want to honour this tradition by traveling on the many container trains that drive through Europe everyday, equipped with little more than a gallon of drinking water and some cans of ravioli. This exhibition shows their story. You will see moving images of the trip, as well as still images. 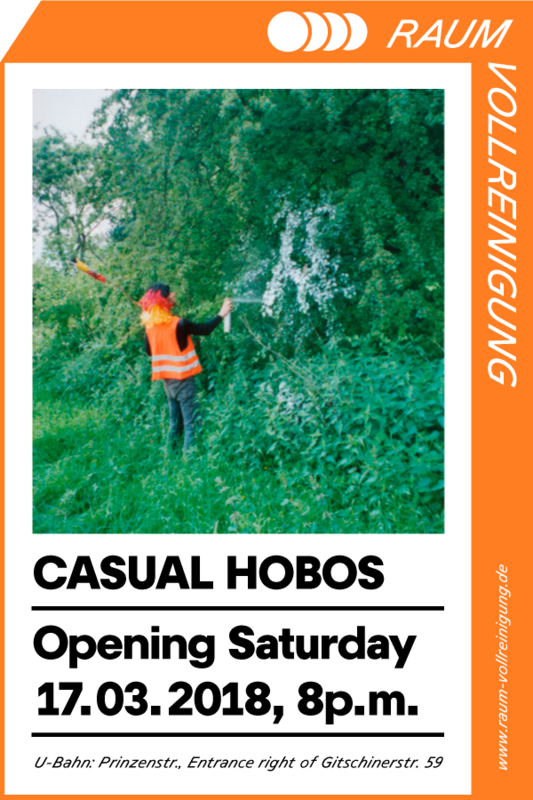 There will also be paintings and screen prints of hobos hiding in bushes. Please come by! There will be ravioli.